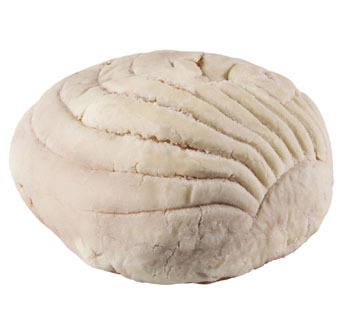 The Concha Blanca is a sweet bread that serves as a staple item in the Mexican culture. With its complementary white frosting, this product resembles a sea shell that curious customers can't wait to try. Enjoyable at breakfast time or as a midday snack, this product is versatile and satisfying. Dulce Pradera Authentic Mexican Pastries offer quality ingredients, traditional recipes, and a contemporary look that’s sure to win over the Hispanic market. Conchas are among the most traditional breads of the Mexican bakery and are top-selling Mexican pastries. Feature these shell-shaped sweet breads high on your display rack for increased sales. Available in Blanca (White) and Rosa (Pink).